An update was installed today! Check out what's new! Participate in the festival to get awesome rewards! Festival started today and will be on for 8 days! 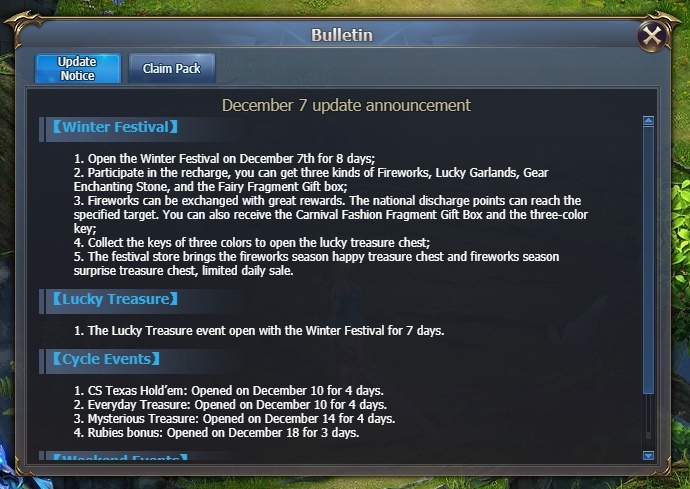 Lucky Treasure also will be opened during the festival! 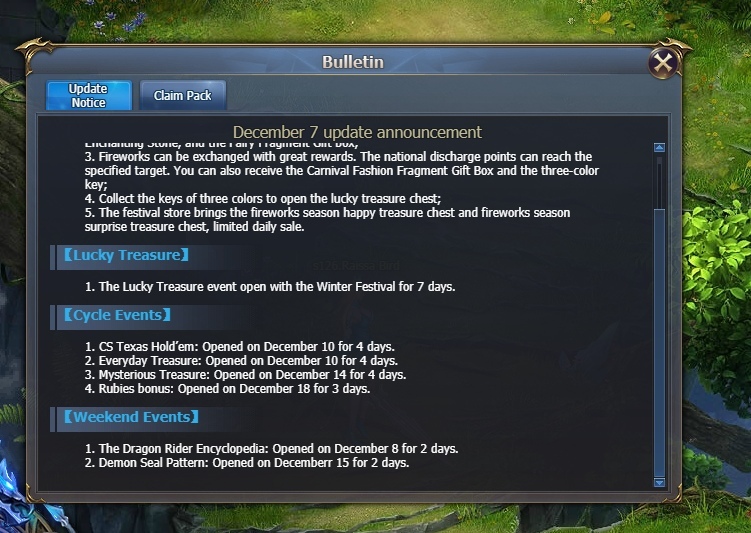 Also, don't miss cycle and weekend events that will start on December 10!